Start the party with Disney Frozen Sing Along Karaoke. Be just like Elsa and Anna singing your favourite song. Sing along to built in tunes; 'In Summer', 'Let it Go' and 'For the First Time in Forever'. 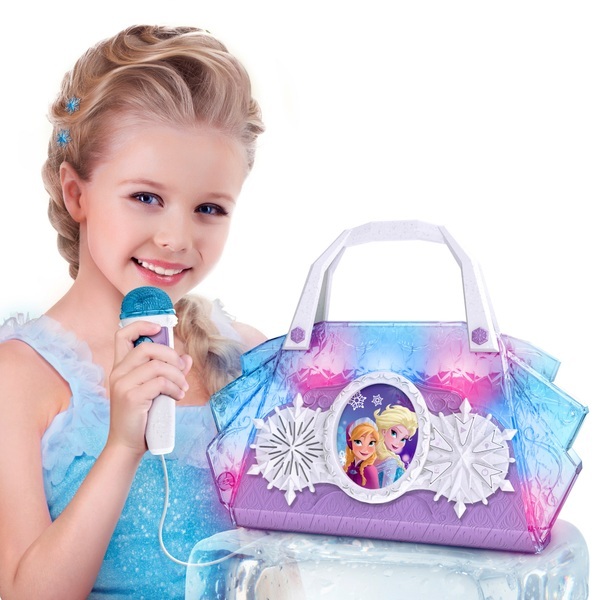 This Disney Frozen Sing-Along Karaoke machine can be connected to an MP3 player (not included).